The Seychelles is recognized as one of the top 10 diving destinations in the world. There are numerous snorkelling and over 77 dive sites off the three main islands alone, with PADI diving centres offering courses for all abilities. The Seychelles is a year round sailing destination. Calm seas from October to May are particularly good for cruising and yachting and a wide range of craft are available to hire. Non-motorised watersports are widely available at many resorts. In order to preserve the environment, motorised water-sports are only allowed in Beau Vallon Bay on Mahe. 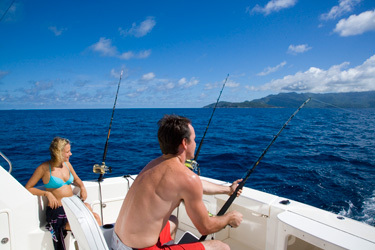 The Seychelles offers some of the finest all year round fishing in the Indian Ocean. It boasts a staggering 386,000 sq miles of fishing grounds offering outstanding catches of Marlin, Giant Barracuda, Sailfish and other trophy fish. A number of walking and hiking trails are available across the islands, ranging from gentle to the more challenging, which usually reward those who make the effort with spectacular views of the islands. 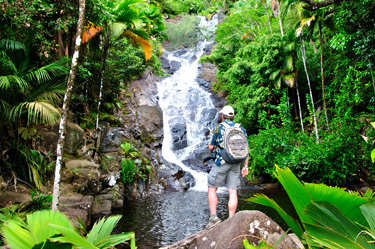 Around 50% of the Seychelles land mass is protected national parks. 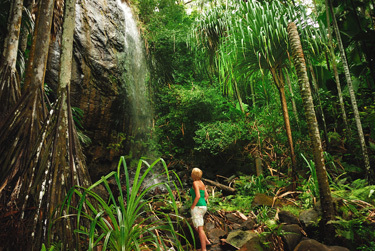 Eco travellers can enjoy variety of Flora and Fauna, many endemic to the Seychelles. 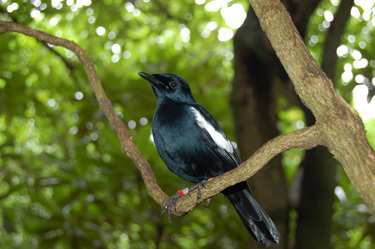 A leading destination for bird watching, boasting some of world’s rarest species and some found nowhere else on earth such as the Paradise Fly-catcher. The superb choice of 5-star resorts and hotels means there are at least 20 luxurious Spas offering a full range of beauty and wellness treatments and experiences. 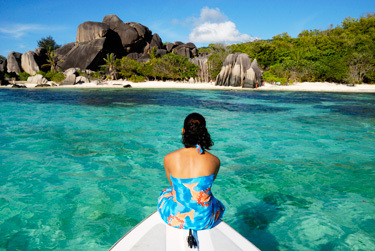 To learn more about The Seychelles click here now. Answer the questions below to complete the training module. win one of 5 £50 L2S vouchers. How many official dive sites are listed off the three main islands of Mahé, Praslin and La Digue? Where on Mahé can visitors enjoy waterskiiing, jetskiing and paragliding? 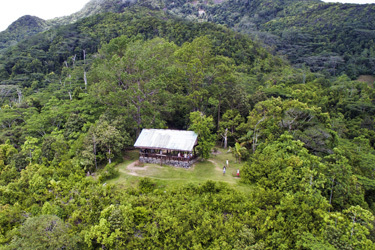 How much of the Seychelles land mass is national park and protected reserve?